Install the lower stretcher first. To prepare the tenon for the tusk pin, bore a 1-inch-diameter hole centered 2Yt inches from the tenon end. Then insert the stretcher in the leg (above). 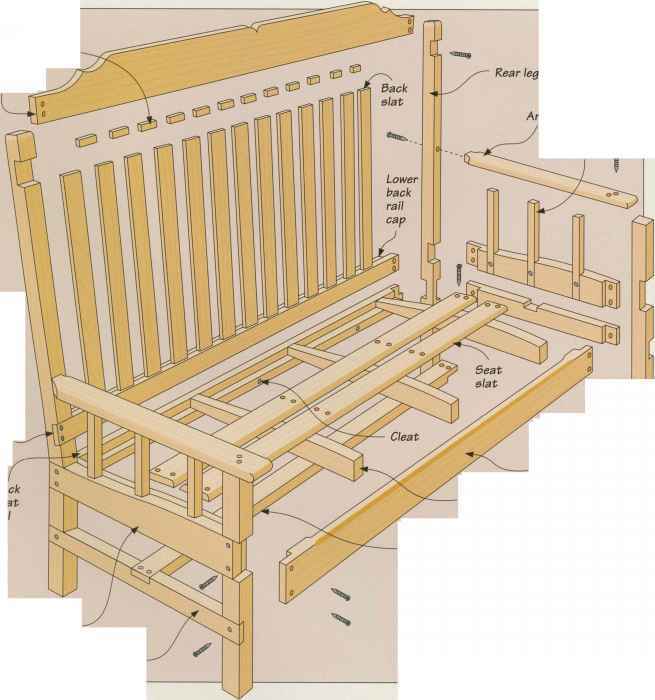 Do not press down on the outside edges of the legs to force them over the tenon; this is liable to split them. 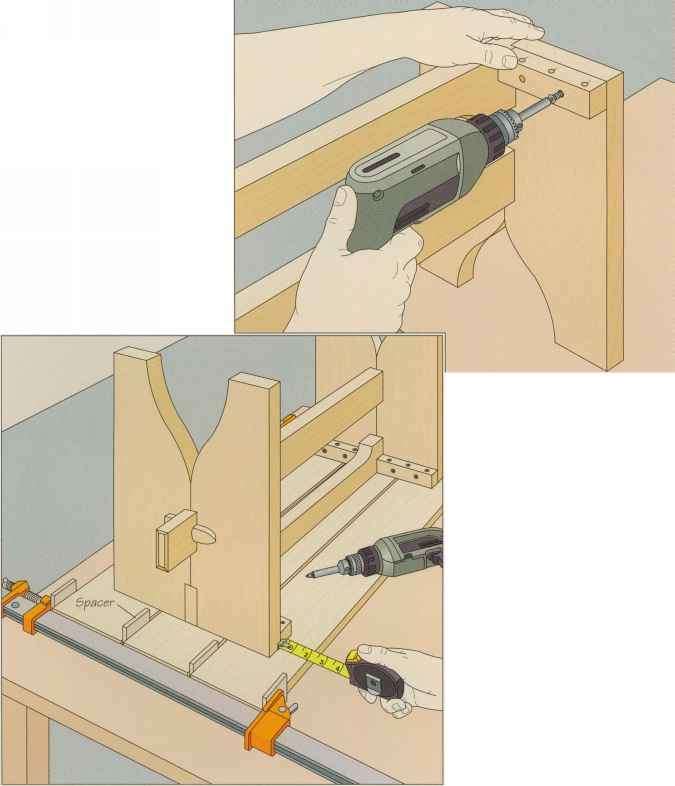 Instead, knock the leg on both sides of the tenons with the the heel of your hand. When the stretcher is in place, the tenon should reveal a /2-inch semicircle to hold the tusk. Whittle and sand the tusk stock so it fits tightly in the opening. 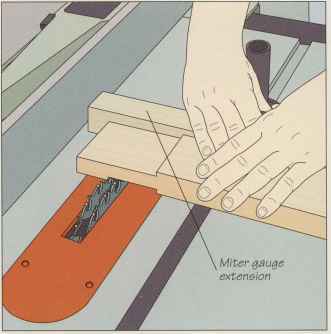 Make it slightly wedge-shaped so it tightens the joint the further it is inserted. Tap the tusk in place with a mallet. Finally, apply glue to the upper mortise and slide the top stretcher in place.